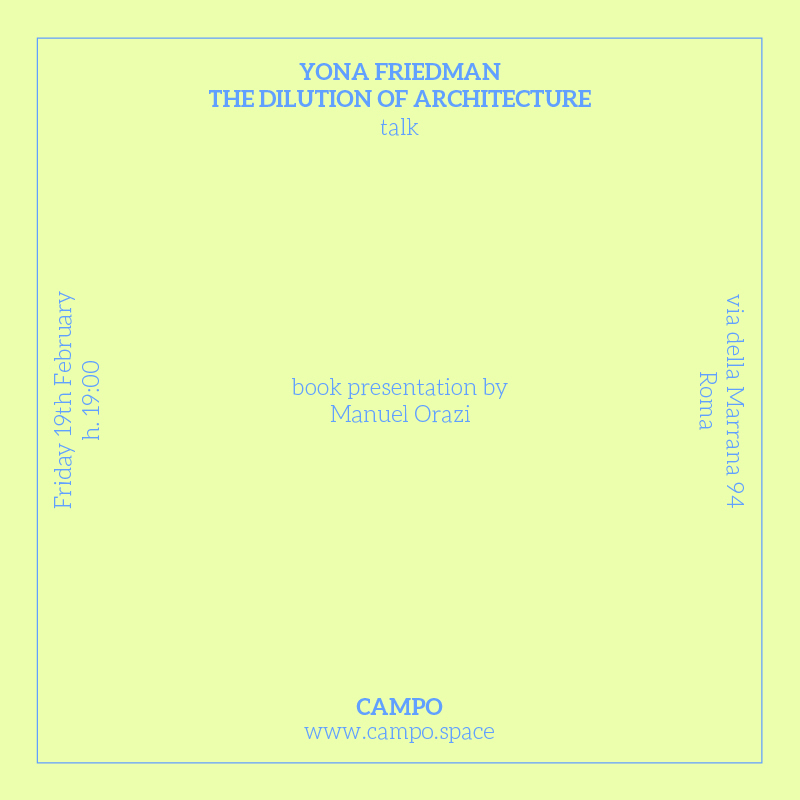 Friday the 19th of February – 7.00 p.m.
Yona Friedman is recognized as one of the most eminent proponents of 1960s avant-garde urbanism. His best-known work is the concept for a Spatial City (“La Ville Spatiale”, 1956), in which he aimed to provide maximum flexibility through “megastructures” over existing cities and other locations. Inhabitants were meant design their dwellings within these structures. Friedman sought to provide people in every part of the world with the knowledge and fundamental structures to determine their own environment for living and to enhance their independence and self-reliance. Starting from the extensive research published in the book Yona Friedman. The Dilution of Architecture, Manuel Orazi will bring us in the depths of Friedman’s ouvre and theorethical thinking, that extended its influence well beyond architecture to planning, information science, sociology, visual art, and filmmaking. Following the architect’s progress through disciplinary and geographic areas apparently remote from one another, in which Friedman has been moving erratically and incessantly, Orazi will construct a journey that binds architecture and the city with the wider historical, social and political context. 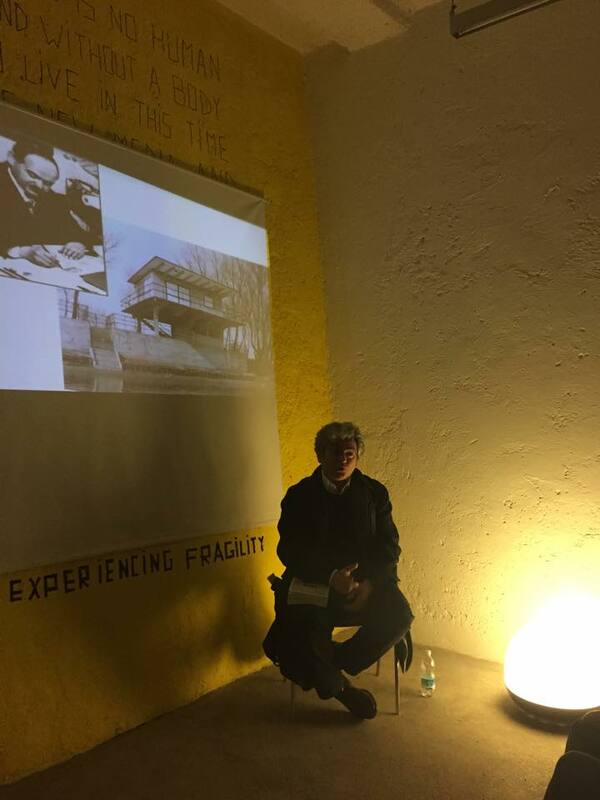 completed his PhD in history of architecture at Ca’Foscari University of Venice in 2007. 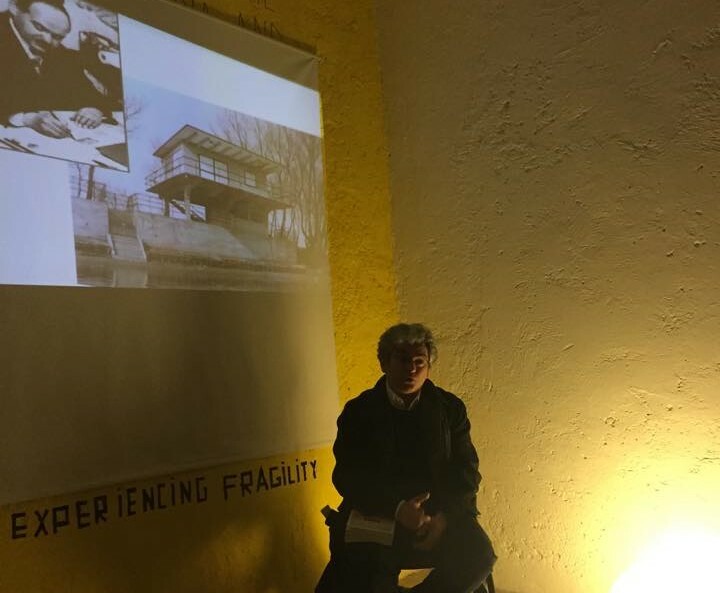 He is an editor with Quodlibet publishers in Macerata and teaches theory and history of contemporary architecture at the universities of Bologna and Ferrara. He also regularly contributes to books and magazines. Hungarian-born French architect is one of the most fascinating architectural theorists of our time. Gaining early recognition for his Manifesto de l’Architecture Mobile, he is best-known for his sketches of the Ville Spatiale, or Spatial City, which applied the core concepts of the manifesto to create mutable “superstructures” over existing cities. The Spatial City represents an important thread running throughout Friedman’s work: He has always sought to provide people with the structures within which to construct and reconstruct their own environment, be it within the slums of the Third World or modern Western cities.